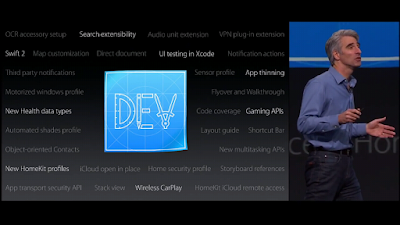 Every year in June, Apple hosts their Annual, World wide developer's conference formerly known as WWDC. This is where some major improvements regarding their ecosystem are mostly shown. Improvements to their devices through Software updates in-turn boosting performance, increasing battery life & adding security patches. This is mostly, the general breakthrough of what happens during the event. Most likely New versions of Operating systems for their devices pop-up, while some add-ons are introduced with the tag : " One more thing! ". This year Apple introduced OS X El Capitan for Mac users, iOS 9 for iOS users & WatchOS 2 for their Apple watch! 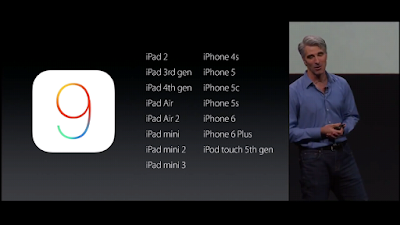 So let's focus on iOS 9, what are the improvements, new features? Are they still giving the OTA sacrificing older existing devices ? Let's find out ! Updates to Notes App, Maps App with Transit & to Apply pay. A new News app & Apple Music service. New multitasking view with Splitscreen capabilities. Increased Performance, Battery life & Security ! Apple introduced Siri back way in 2011 & over the course of the years, various experiments are going on with Siri to make it simpler, better both in reliability & overall visual look and feel. Siri in iOS 9 has a new visual look, with those pulses been exchanged by some weird colour shifts that goes on, while you Ask something to her! Truly, i preferred the old look(iOS8), it was way cooler !#siri. Now if you are in any app & want that to be reminded anytime later, you can simply ask Siri, To " remind me about This, when i get home". Notice: you no longer have to be specific about that app, webpage, article, Siri simply does it. This resounds the close competition, you guessed it, Google. 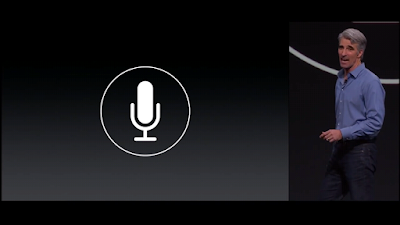 Apple claims that siri is now 40% faster and accurate in terms of word accuracy. Siri now knows about your location, & with the new feature in her known as Proactive Assistant, Now let's say if you're in Gym & if you plugin your headphones, the music app automatically launches up with your playlists! In Spotlight search, now you can type in complex questions in your own style like, " show me my slides that i edited yesterday regarding HTML". You will get the requested thing, Rightaway! Spotlight search gets a new UI refresh, introduced in three sections : Siri suggestions, Nearby places & News ! Now in notes app you can create checklists, add photos and even draw things with the new draw icon, Also now, you can add any link to the note, you're currently working on with the sharesheet, the link even comes up with small thumbnail. It also gets a new enhanced view, where each and every attached photos and videos in particular notes are displayed one after, another. If you want to get back to that Note, simply tap that perspective Photo/video, the photo/video including the note will open up!. This is supported on iOS as well as on Mac. Maps on iOS devices get a new public transit feature that everyone's been asking for since years, as it's already available on Google Maps. This even Includes time for walking directions. Transit directions will be rolled out to few cities(300-400) at the start, then expanding to others later in the year. A new, easy and intuitive way to pay, just place your thumb at the fingerprint scanner and simply tap at the store (Apple pay reader), it merely takes 4-5seconds! There's nothing but updates here, in particuler to places supporting Apple play, as since the launch, Apple play is now supported by 2500banks. Apple says that, Discover will bring Apple Pay to more than 50million card members, accommodating in many which were previously limited by credit or debit cards. If you want to incorporate Apple pay reader in your own business, you go to square & pre-order the product, Also it'll be available in Apple stores later this fall. Apple even says that, "Developers are finding 2X checkout rates than before, due to integration of Apple pay in their apps! ". Yeah, and i know about those unlucky people, who accidentally bought a thing, buy just placing the finger on the homebutton, just to head back out! (Iphone5s users and ahead). 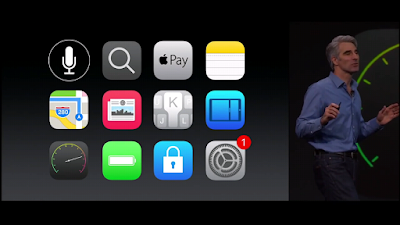 Ohh, did i missed that, Passbook is renamed to Wallet ? Now if you're a guy who tags along your iPad, and composes mails all the time, you're going to enjoy this feature! Now by pressing and holding double fingers, your keyboard becomes a trackpad! Simply move across, make a selection copy/cut/paste it, with new copy/paste tools integrated in the text suggestions area, for easier use ! Aggregating your news feed with third party sources can sometimes be bit of a pain, in order to be free from spams!, and here is Apple with a new App: News! Your destination to news across the globe, by top publishers verified by Apple. 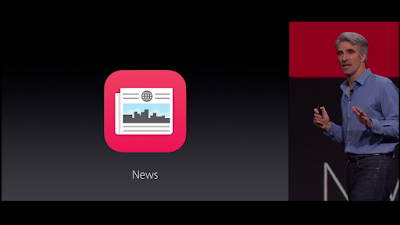 It is basically an app like Flipboard, Newsstand by Google. But the layout is in typical Apple fashion with all those beautiful animations and live content like videos. Curated with channels and topics ! Crazy isn't it ? These companies in particular like Apple & Google take rivalry to a whole new level, and i said that, because just after Apple launched their News app, Google came up with News lab yesterday, consider the time span just merely 14days after WWDC 2015. Wow Google, huge shout out ! Apple revolutionized the music industry with itunes, or shall i say Steve Jobs ? Well since then, they've had pretty much good success. But now, they've come up with a new music service called as Apple Music, which they claim is the next big thing in music! They even support 24/7 live radio station named beats1. Hmm..Well yesterday, Apple's music service was booed by Taylor Swift, American Singer. What was the cause ? read here : Tumblr (written by Taylor, herself).
" Oh, ok ". Just after the Launch of Apple music. 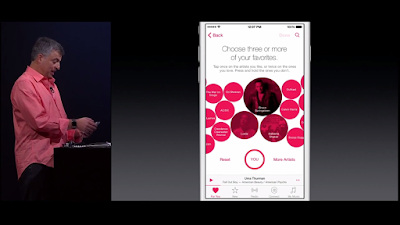 Quicknote : Apple Music will launch on iOS as well as Android & Windows (Pc) later this fall. iPad's are usually known for this, in particular the four finger gesture to switch between apps, hands down nothing's better than this! With iOS9 they're are taking it to a whole new level and that's "Slideover". To use it, whenever you're in any app simply do a left swipe from the right edge and there you have it. But always calendar opens up first!, if you need to switch onto another supported app, Just swipe down from the top edge of the App(overlay), then you'll see any supported applications that you can chose from. Remember, While you do this the other half remains unavailable! #slideover. Now to access the other half touch the divider this brings down the other half live! This is known as Splitview. Also you can use both apps at the same time, with Multitouch. Just think, your kid playing games and you reading articles on the same iPad ! #ifsupported. Also the feature, picture in picture makes its way back here.! Spoiler : Slideover is available on iPad mini 2,3& iPad air,air2. While Splitview is available only on iPad Air 2! Performance : Metal does great work here, 1.6x increase in animations and scrolling & also 50% reduced CPU usage. Battery : Additional 1hr of use on iPhones. Low power mode extends battery life to additional 3 hours on top of that 1 hr span. Security : Two factor authentication in icloud. Make sure you'll have turned on that feature for your Google account.! OTA : Finally, Apple will let all ios8 users update their devices to iOS9, without skipping anyone, Yes, iPhone 4s owners you'll will receive the update! Also the update size is dramatically reduced from 4.6 GB(iOS 8) to 1.3 GB(iOS 9). All users running iOS8 will get the iOS 9 update later this fall. You can sign up for iOS 9 beta, here : iOS9 beta. Also now if you receive any mails with any events, those will be automatically added to your calendar, hassle free. 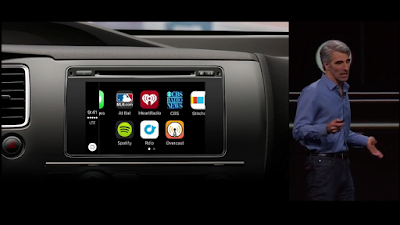 Even while using Carplay within your car, you no longer need to plug in your Phone to the Car. Now it'll automatically sync, maybe via WiFi that's not clarified yet, this will also be available later this fall. Keep in mind all these features may or may not be included in the Public beta's on Apple's site. Even more improvements can be added overtime, Stay tuned ! If you liked this article, give it a thumbs up/share it ! Also see : Watch OS 2 features : explained!